Need a self-storage spot in Belfield? 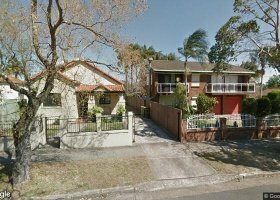 A suburb located in the inner west part of Sydney, Belfield is an established residential community that offers not only access to the central business district but also is a place that is full of character. Belfield is a mixture of residential, light industrial, and commercial areas. Settlement in the area dates as far back as the early 1800s. However, it was only in 1920 that development started. It was through the War Service Homes Commission (WSHC) acquiring a large area of land and building houses in it that paved the way for the suburb to flourish. By 1922, the houses built by the WSHC were ready for occupancy. Along with this, the War Service Home Precinct, which was part of the Great Central Railway estate, was established. Their purpose was to assist the servicemen returning from the First World War. However, it was only in 1930 that the suburb’s name was first recorded. Although dominated by residential areas mostly consisting of both historic and new dwellings, Belfield also offers attractions such as the Rudd Park, the Eccles Reserve, the Elliott Reserve, the Belmore Sports Ground, and the Belfield Plaza Shopping Center, to name a few. Having easy access to the heart of the city of Sydney, Belfield is an ideal place not only for families and young independent professionals who wish to settle down but also for establishing businesses and startups. One business that’s continuously growing and is expanding its reach is parking in Belfield. At Spacer, we are a huge part of this growing marketplace, offering an innovative way of turning your unused space – whether a garage, parking lot or shed-- into a storage unit in Belfield, creating a sharing community and extra income opportunities. Establishing a premier peer-to-peer marketplace to find people with space or who need space, we are redefining the old-fashioned way of storing your belongings.